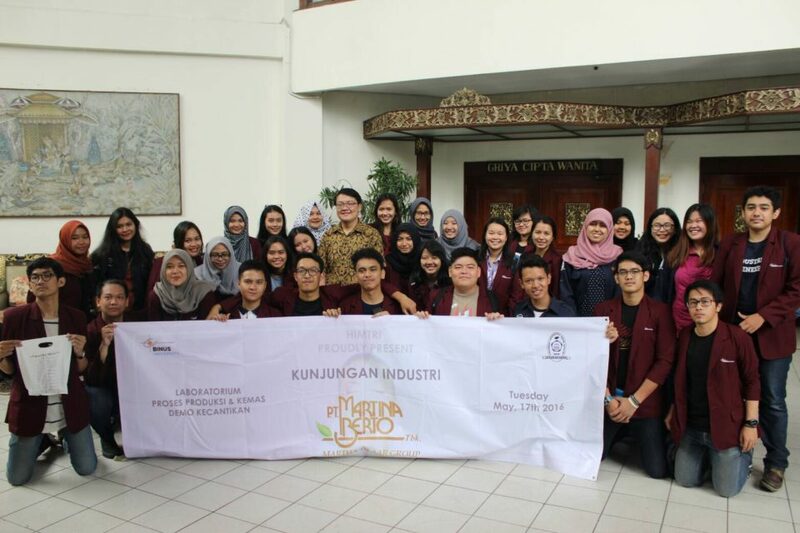 Industrial Visit is an annual program by HIMTRI as a media for Industrial Engineering BINUS University students to achieve information about the application of Industrial Engineering, especially in manufacturing process. They can directly see the process and learn the production process until the packaging process. 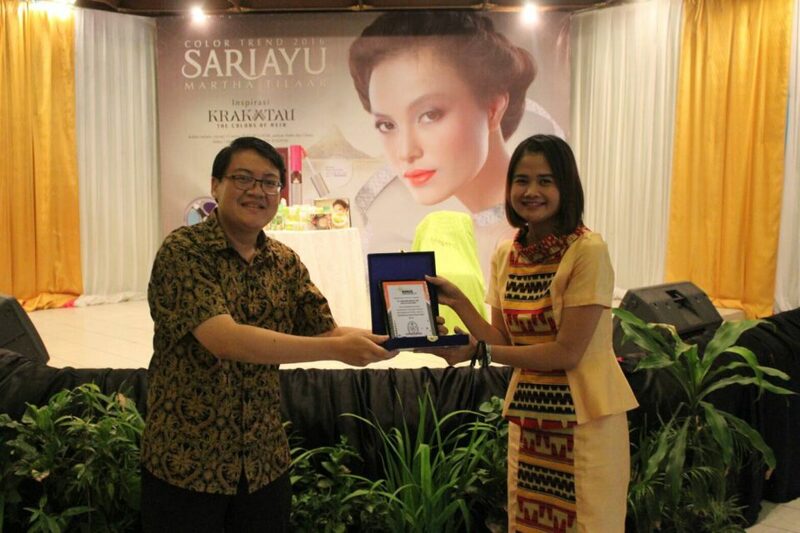 This time for Industrial Visit, HIMTRI went to an unusual industry, which is Sariayu Martha Tilaar cosmetics or PT Matrina Berto. They went to PT Matrina Berto on May 17th 2016. This time, the participants are mostly girls. Not only had the knowledge in the industries, the girls also got some make over tips by a makeup artist. Besides the makeover tips, there are also a lot of activities, like sightseeing and history about Martha Tilaar, and also they went to the factory to see the production process. The process of making lipstick, and other beauties equipment which are manually made by the workers. This is the uniqueness of Martha Tilaar, because most of cosmetics industries usually used machine and technology for the production process. In the end of the trip, students can exchange the voucher they got in the factory outlet with the Martha Tilaar products. They can also buy the products in a very cheap price.